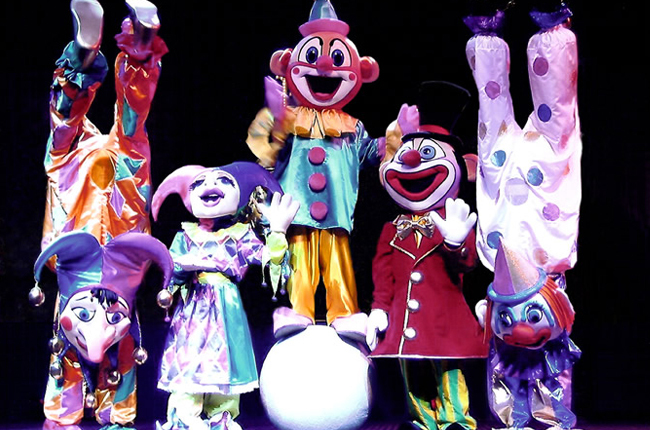 Also the life of the party!, Clowns are comic performers stereotypically characterized by the image of the circus clown's colored wigs, stylistic makeup, outlandish costumes, unusually large footwear, and red nose, which evolved to project their actions to large audiences. 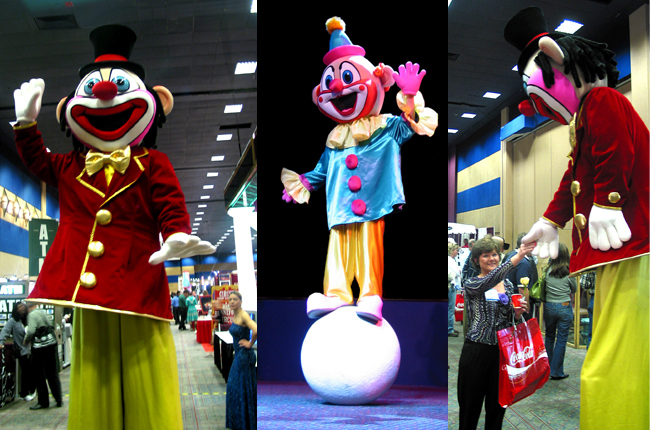 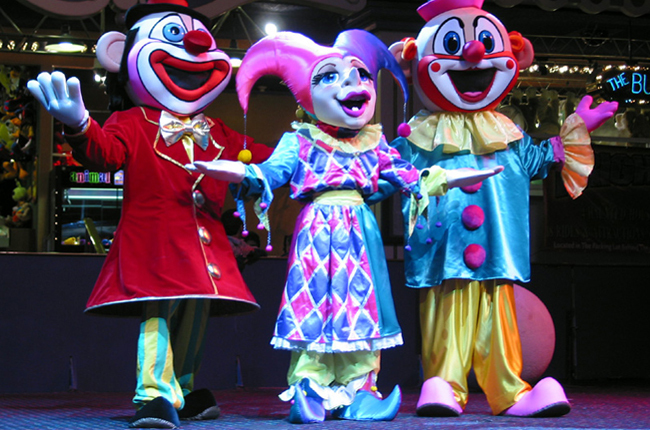 Clowns are an incredibly fun addition to any party, function, or event. 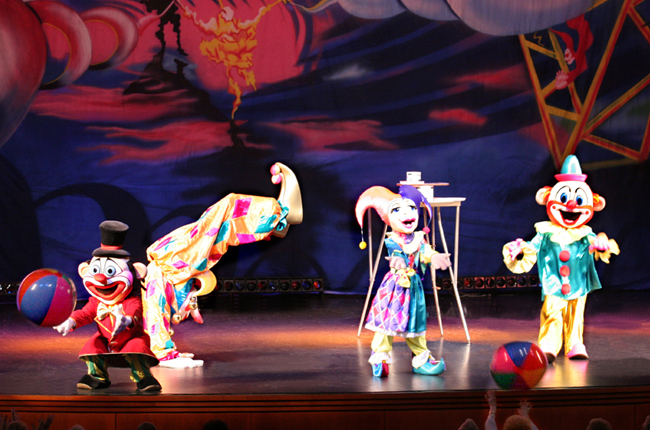 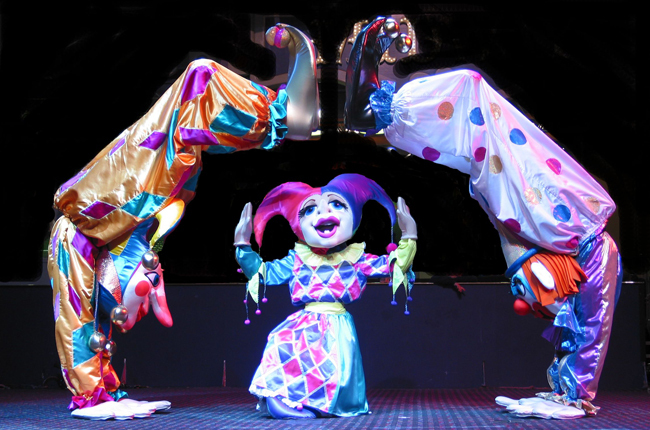 Some clowns even paint faces, twist balloons, walk on stilts, or even walk on rolling globes.